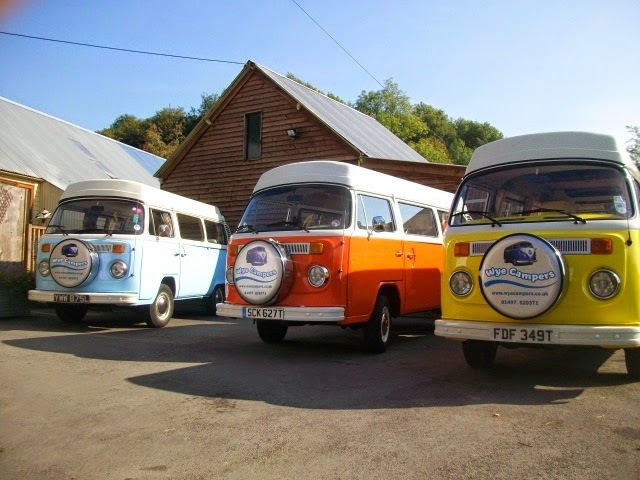 Wye Campers in Herefordshire have VW Campers available to hire for your next break away. Hiring one of our VW Camper Vans is perfect for both long and short breaks and is a different, enjoyable and fantastic way for exploring the area around us. We are located in Clyro near Hay-on-Wye and have easy access to Powys, the West Midlands, Brecon Beacon and Snowdonia National Park. There is also the option to head to the beach, head into Wales, go to the Gower for a surf, or heading down towards Pembrokeshire and Cardigan Bay for fantastic coast line hiking. Choose your favourite camper to take you on your trip! Whether you are looking to hire one of our VW's for your holiday or as a way to arrive to your wedding day in style in our 1963 Split-screen camper we are happy to accommodate to your needs. We cover a wide area so please call us today for a quote. 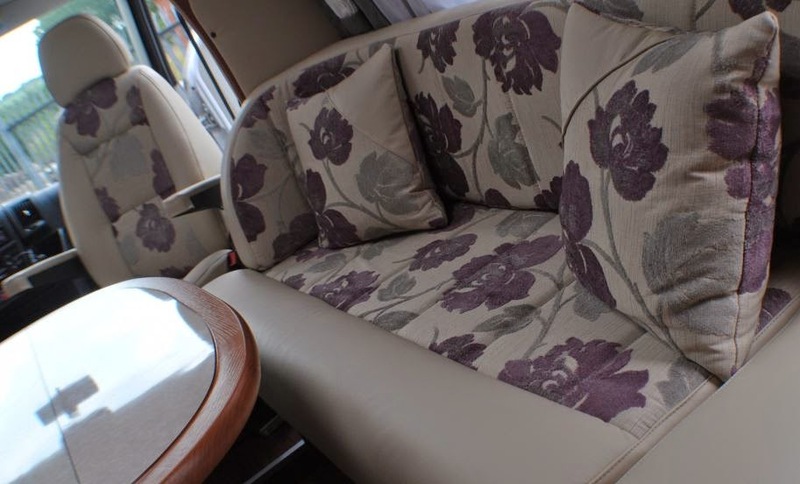 Regal Furnishing Ltd is an established business since 1997, providing caravan upholstery, motorhome upholstery, horsebox upholstery and houseboat upholstery services, concentrating on quality, we only use top quality products such as hardwearing durable fabrics and high-density foam. 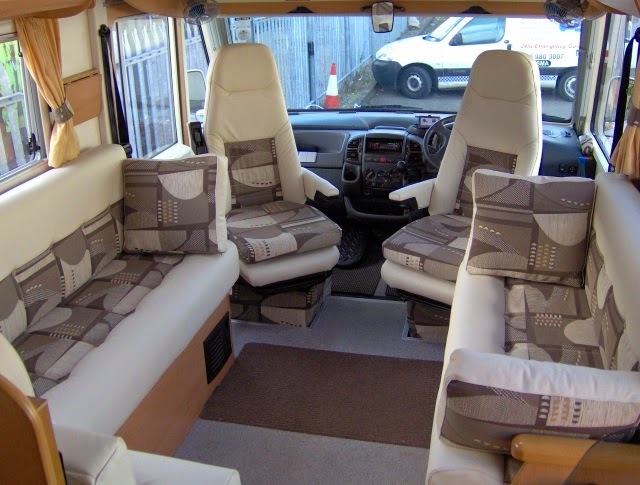 The upholstery work we produce is of the highest quality and we actively ask the customer to stay with us during the day so they can see the upholstery process and the transformation of their caravan, motorhome, boat or horse box. During this process from the choosing of your caravan upholstery fabric you will be able to see the cutting of your patterns to the sewing of each piece to filling and buttoning of the finished article. Regal Furnishings specialise in Horsebox Upholstery. If your Horsebox requires new upholstery we can supply you with a top class quality foam, fabric and lining. Regal Furnishings specialise in Houseboat, Narrowboat and Speedboat Upholstery. If your Houseboat requires new upholstery we can supply you with a top class quality foam, fabric and lining. Established in 1974, Sharman Caravans in Ipswich, Suffolk have everything required for caravans and motorhomes. If you haven't visited us recently, you will be delighted with our massive accessory store, plenty of parking and lots of room to manoeuvre your caravan or motorhome. The staff are all highly experienced and have over 100 years of knowledge of the caravan and motorhome industry between them. We are Suffolk's only Lunar dealer and have a wide range of new Lunar caravans in stock at all times. 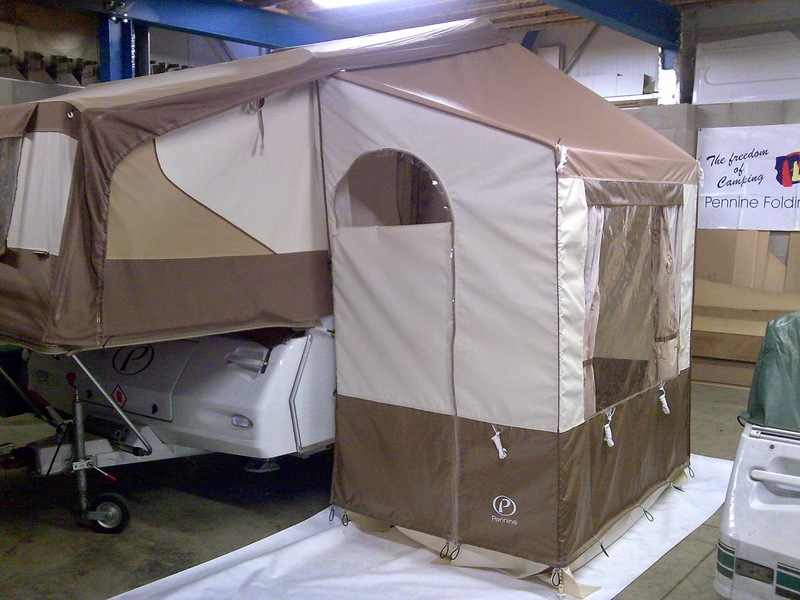 We also offer, Caravan Insurance and insurance claim quotes and repairs are carried out in our workshops. Trethias Farm Caravan Park in St Merryn, Padstow, Cornwall has been owned and run by the same family since the 1950’s, and little has changed since its beginning, other than the installation of the type of facilities that you would expect to find at a caravan park today. Trethias is ideal for families and couples, seeking a classic camping holiday, and looking to avoid the usual cramped over developed parks. Set in the beautiful AONB (Area of Outstanding Natural Beauty) surroundings of the North Cornwall coastline, Trethias enjoys some fantastic uninterrupted views of the surrounding countryside, including Trevose Head, Bodmin Moor and sometimes even St. Ives Bay on an exceptional day. The site itself is only yards from the amazing South West coast path, with Padstow around a days walk to the North, and the outstanding Bedruthan Steps half a day walk to the south. Hales Hall Camping and Caravan Park offers camping and caravanning facilities located in Cheadle near Stoke on Trent in Staffordshire. The pitches at the campsite are big enough to pitch a caravan and a standard awning. If you have any specific requests about your pitch please ask at the time of booking and the owners will do their best to accommodate you. Within walking distance from the site is Les Oakes and Sons Architectural Salvage Yard, St Giles Catholic Church "Pugins Gem", which is considered to be the finest of all churches and the owners highly recommend a visit. Alton Towers the UKs number 1 Theme Park is only a 10 minute drive away from the caravan and camping site. Within the grounds of the camping & caravan park is Hales Hall which is a Grade II listed building, built in 1712 for Sir Matthew Hale who was Lord Chief Justice of England. Today it provides a warm, friendly bar with a function room for residents only.